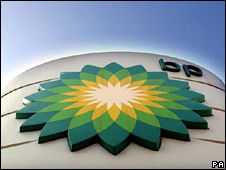 BP has been announced as the sixth official sponsor for the 2012 Olympics and Paralympic Games in London. The oil and gas giant will be responsible for providing fuelling facilities for vehicles used during the sporting event. The company also aims to support the Cultural Olympiad - a four-year programme of concerts, exhibitions and festivals to run alongside the Games. The other sponsors are Lloyds TSB, EDF Energy, adidas, British Airways and BT. BP will also provide liquefied petroleum gas for catering vehicles and washing facilities, plus technical support - including a system for tracking and reporting carbon emissions. The company said it will organise touring exhibitions and outreach programmes in support of the Cultural Olympiad. Lord Coe, chairman of the London Organising Committee of the Olympic Games, said: "BP has a well-established track record of supporting the expertise and passion of our creative and cultural industries. "I hope that we will be able to draw upon this for our four-year cultural programme, which aims to inextricably link sport, culture, community and education." Tony Hayward, group chief executive of BP, said the firm wanted to reflect the "building excitement" around the Games. "We are looking forward to playing a significant part in making London 2012 the Games for everyone," he added.